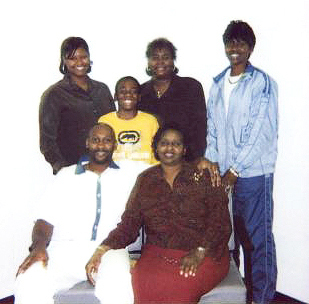 Troy Davis and his family before the jail cut off "contact visits"
Readers of this blog will remember that I and many others spent a few weeks a while back focused with increasing horror and dread on the case of Troy Davis, an innocent man on Georgia’s Death Row who, despite all evidence against him crumbling over the course of his incarceration, and an international outcry and campaign by literally millions of people, was executed on September 21. If you search Troy Davis on this site you will find innumerable articles outlining why he was – unquestionably – wrongly executed, to the eternal shame of all those involved in killing an innocent man. Remember, what happened to Troy Davis could happen to anyone. Strapped to a gurney waiting for the chemicals to flood through the tubes into his veins so he could die, Troy Davis’s last words were to pray forgiveness for those about to put him to death. I have no doubt that he watches us now from somewhere in Paradise, just as I am certain that a special place in Hell has been reserved for those members of the Georgia judicial system that callously sent him there. I spent several weeks campaigning on the Troy Davis case, but some people have spent several years, such as Jen Marlowe. Working with Amnesty International, she came to know and love the Davis family, and her work on their behalf continues – in no small part because their tragedies didn’t end with Troy’s execution. Indeed, the tragedies didn’t even start there. Troy’s mother Virginia died suddenly in April 2011, a death her daughter Martina was sure was a result of simple heartbreak over Troy’s failure to win a commutation of his sentence. Martina herself had been struggling with breast cancer for a decade when Troy was killed; two months after burying her brother, Martina herself died. The boy they all left behind, De’Jaun Davis-Correia, is an outstanding high school student who looked up to his uncle as a father-figure and is today hoping to attend Georgia Tech, where he wants to major in industrial engineering. 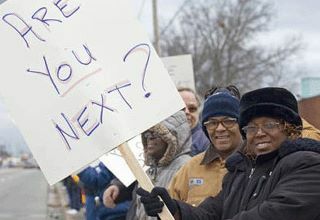 It is a sign of the strength and the beauty of this family that De’Jaun is already a dedicated death penalty activist, and has been named by The Root as one of its “25 Young Futurists” for 2012. But sorrow and loss aren’t the end of it. Three funerals in the space of seven months and years of cancer-related hospitalizations have resulted in bills that would overwhelm anyone. The Davis family lost three warriors for justice in the past seven months. Virginia Davis, the matriarch of the family, passed in April, just two weeks after the US Supreme Court denied Troy’s final appeal, paving the way for the state of Georgia to set a new execution date. According to Martina, her mother died of a broken heart–she couldn’t bear another execution date. Troy was executed on September 21, despite an international outcry over executing a man amid such overwhelming doubt. Troy’s sister and staunchest advocate, Martina, succumbed to her decade-long battle with cancer on December 1, exactly two months after her brother Troy’s funeral, leaving behind a teenaged son. There are still outstanding medical and funeral bills that the Davis family must pay. The Davis family has had to bear more tragedy and sorrow than any family should ever have to. Together, we can ensure that the financial aspect of these losses will not be a burden to them. Any amount will be highly appreciated and will help them greatly! Please circulate this information to others you think may be interested in helping. Any questions can be directed to Jen Marlowe at donkeysaddle@gmail.com. If you are in a position to help, please do so. I will certainly be turning out my spare change pocket to see what I can do. As Emily says: Troy Davis is not here to help his family through this ordeal – those of us who fought for his life must now do so for him. Perhaps, in some small way, we can all make the world a better place by getting this innocent family back on track. And pray that no member of our family is ever caught up, inextricably, in a legal nightmare that ends in their cold-blooded judicial murder. And are you aware that there is currently no ‘Innocence Project’ in Victoria. University of Melbourne shut theirs down a couple of years ago with 25 open cases, several of which had/have merit. We have innocent convicteds in our prisons today and with Ted Baillieu’s tough on crime stand it’s likely to get worse. Glad to have you on board, Mark. I am indeed aware of the possibility of “Innocent Convicteds” getting trapped in the system here in Australia, and just thank the good Lord that we no longer have the death penalty. It would seem to be that we definitely need to uprate the campaigning to free those for whom the appeals process proves unworkable but who are nevertheless demonstrably innocent. The alternative is to assume that the system is perfect – and no system is ever perfect. Joke of the Year – unless you’ve got a better one?